Ben Heller pitched a perfect 7th inning for the Yankees against the Phillies on Saturday. Heller struck out all three batters that he faced, flashing his struck out potential. He finished with a 1.69 ERA and 55 strikeouts in 48 innings last season between Double-A, Triple-A, and the Yankees. 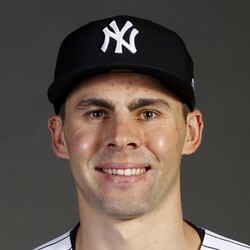 Heller was devastating in the minor leagues last season, posting a 2.27 ERA in Triple-A Columbus and Scranton Wilkes-Barre, but had a 6.43 ERA in 7 innings with the Yankees. His walks were the issue in the big leagues, four in seven innings, but he still posted a 0.83 WHIP for the whole season. Heller was a closer in the minors, a job that he will not have in the majors anytime soon, but he will be a useful middle reliever with his 11.6 strikeouts per nine.